On a single day that will come to be known as "Black Thursday" four passenger planes crash at almost the same time at four different points around the world. Each crash has one single survivor, three children who emerge from the wreckage seemingly unhurt and Pamela May Donald who lives just long enough to record a message on her phone. That message is a warning that will rock the world. 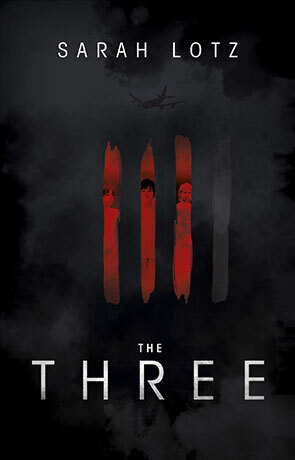 The Three is a novel that sort of works but probably not as well as it could have. The way it is constructed is very clever and the writing is both intelligent and confident however it also feels like a lot of modern films do, lacking in substance. The way the book is constructed is great, told through a series of reports about the crashes much in the same way as World War Z and Robopocalypse - moving towards the present as it goes. This format works very well in some ways and the reporter narrator is realised quite effectively. One of the issues with this style is the way it can seem disjointed and for me the tension never really built up, fading as the book moved from one report to the next. Another potential issue with this format is that character building can be fairly limited - after all each report generally features different characters and we are mainly reliant on bonding with the narrator, someone who is distanced from the story as an observer. I was never moved to the edge of my seat or felt any kind of horror either, it was like any emotion as well as the tension was stripped away after each chapter. The whole idea behind the format is to built a picture up of what's actually going on, along with building up some backstory to the characters and while we do get another piece of the puzzle each time I never felt that we learned much about the people themselves. The story itself is solid and convincing in it's own way and it does an admirable job of leaking out teasers and hints of what's to come. Sadly though these never really amount to anything and at the end of the book I was left with a feeling that it was incomplete, that too little happened. The Three is told in a way that is undoubtedly different but different isn't always good, in this case just seems like it could have been a great deal more. As a distraction it's ok but left me with a feeling that there was just too much missing. Written on 28th April 2014 by Ant.